Today I have two polishes from the Glam Polish Cry-Baby collection (The king coll. Part 1). Both are shown in two coats + a coat of Seche Vite. Glam Polish Doin’ Time For Bein’ Young is a beautiful blue holo with a strong effect and it also contains blue/turquoise shifting glitters. 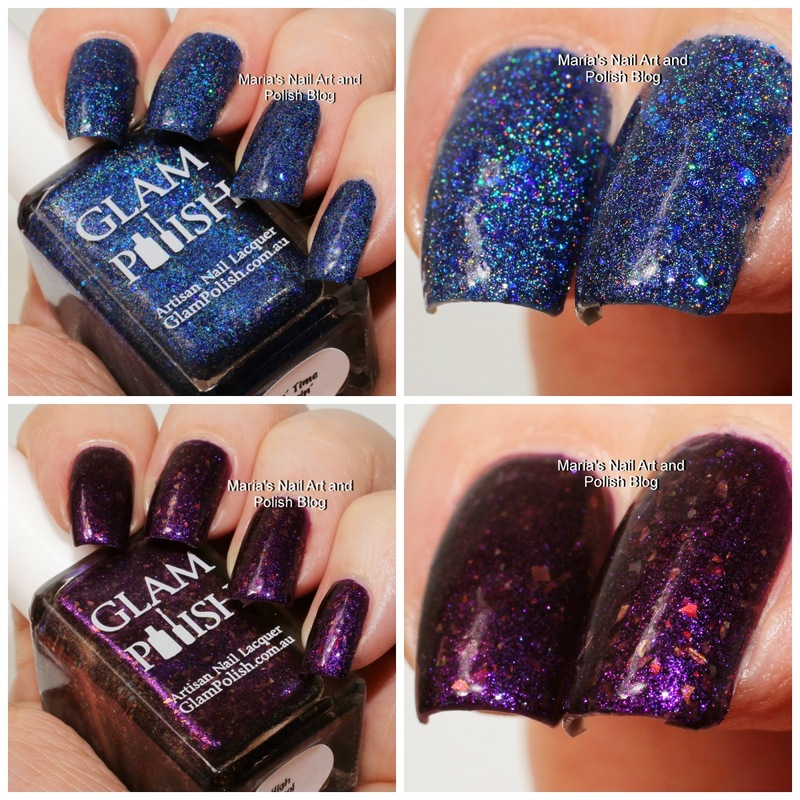 Glam Polish High School Hellcats is a beautiful dark purple with multichrome flakies. What do you think of these two..? LOL I thought you would think so! I much prefer the second one! Not bad, not bad at all. Those glitters/flakies add interest to them. I also think I do!